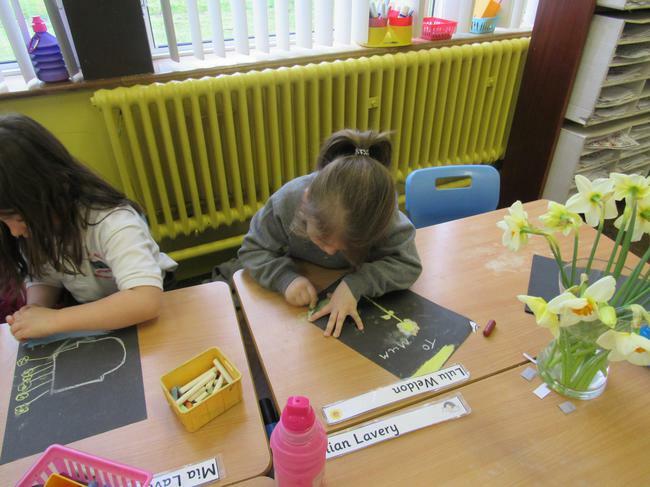 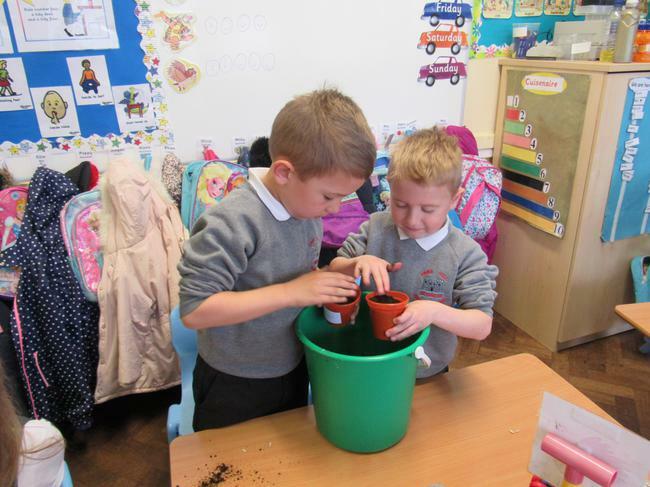 We have been learning about Spring and growing seeds. 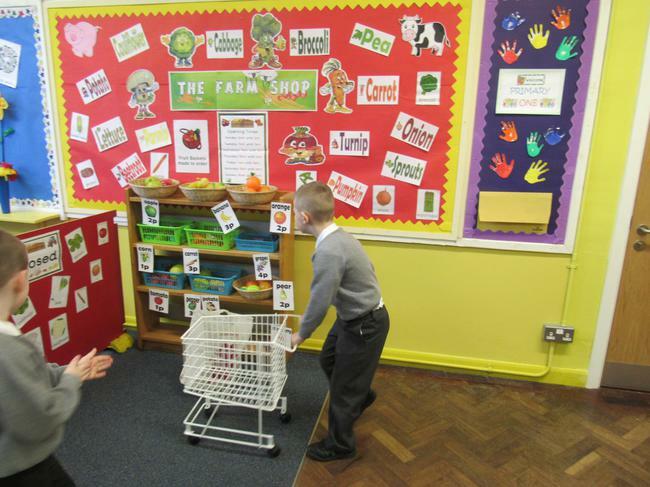 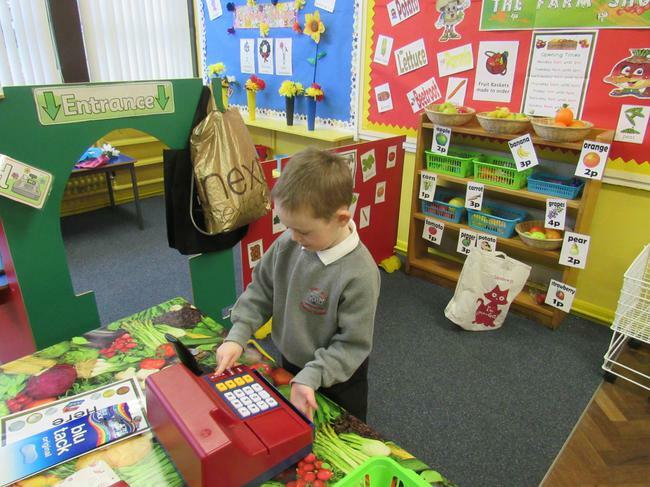 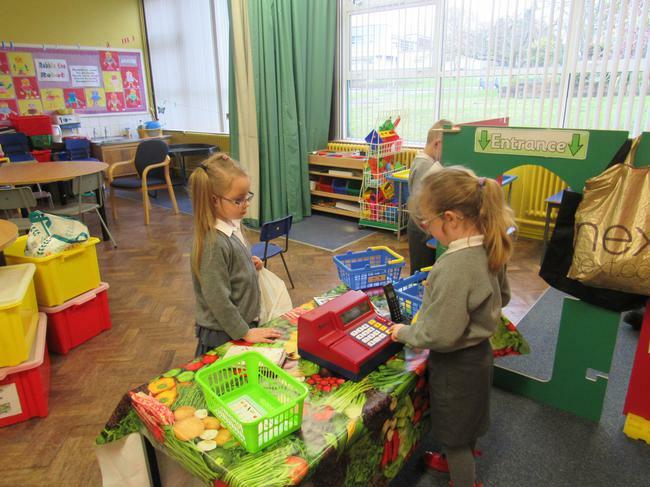 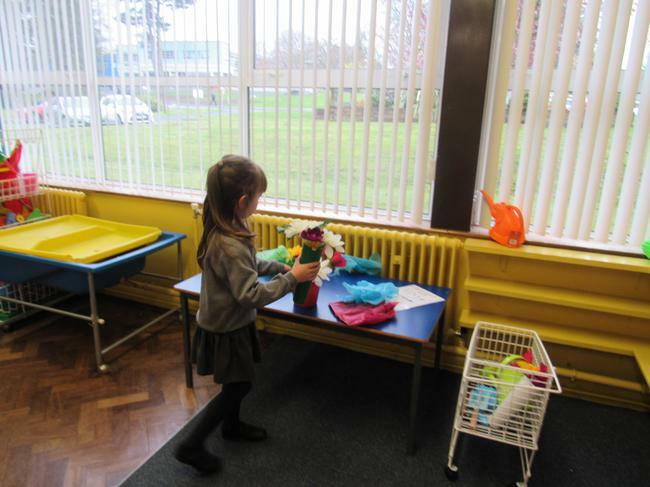 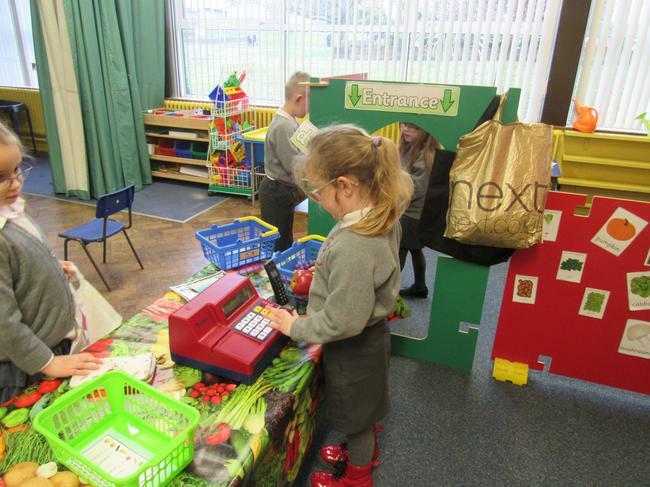 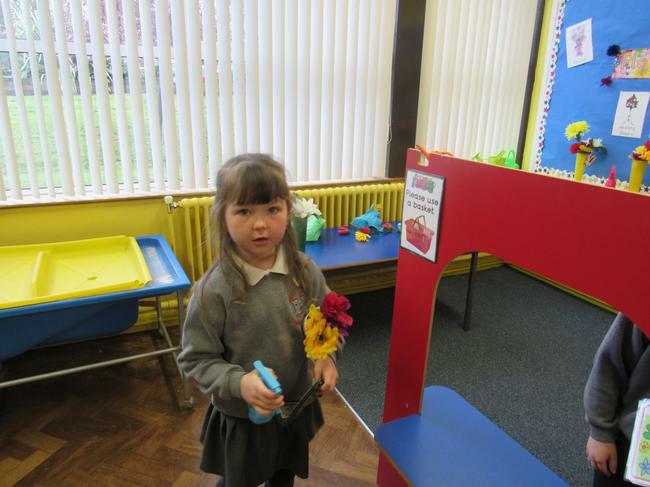 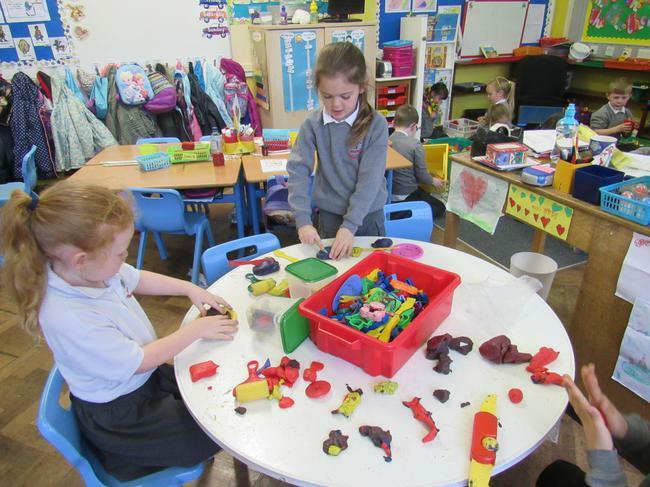 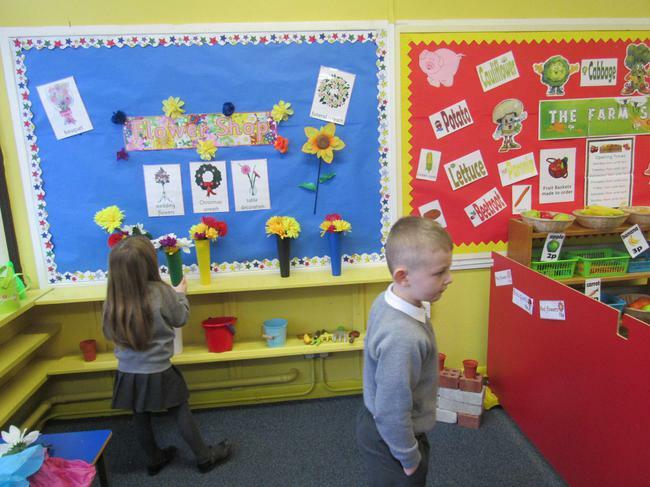 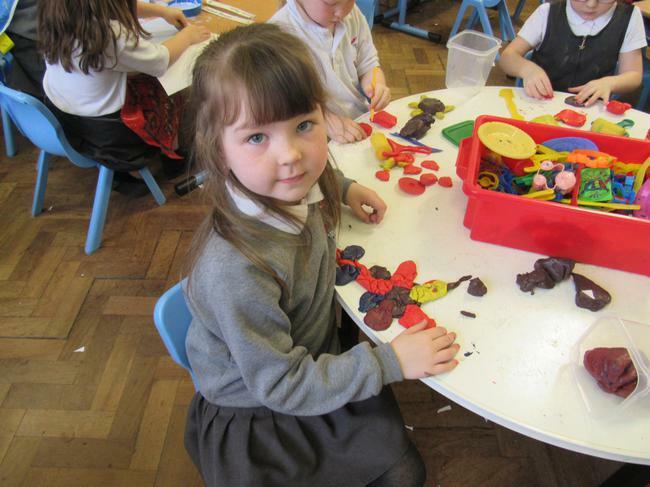 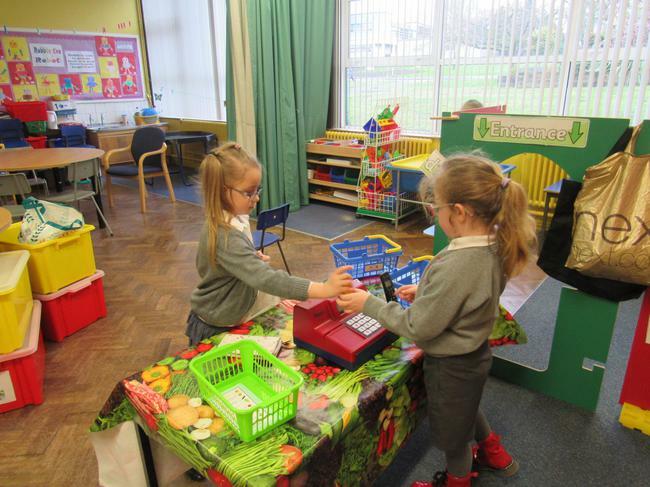 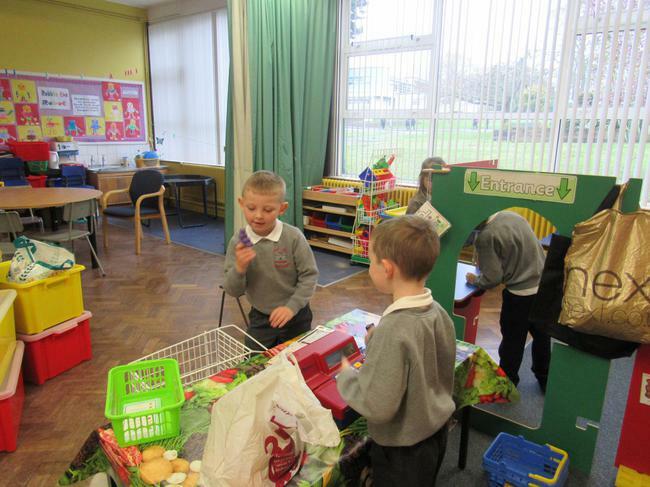 During indoor play we have been working hard in the Fruit and Flower Shops. 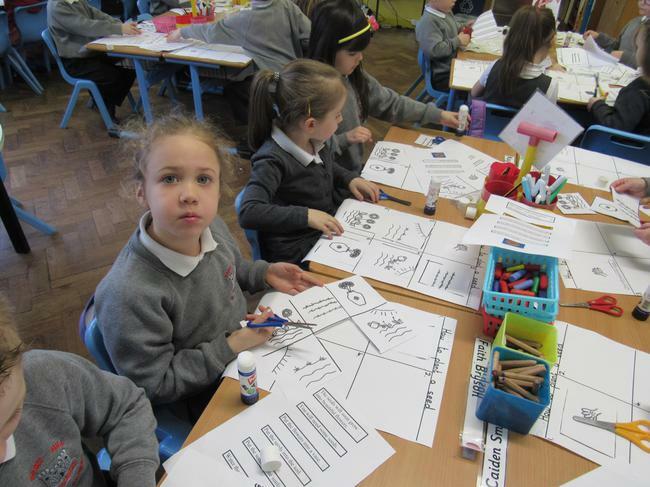 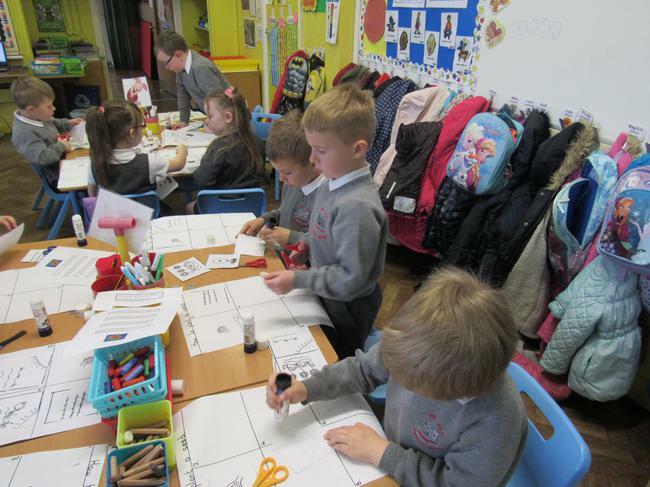 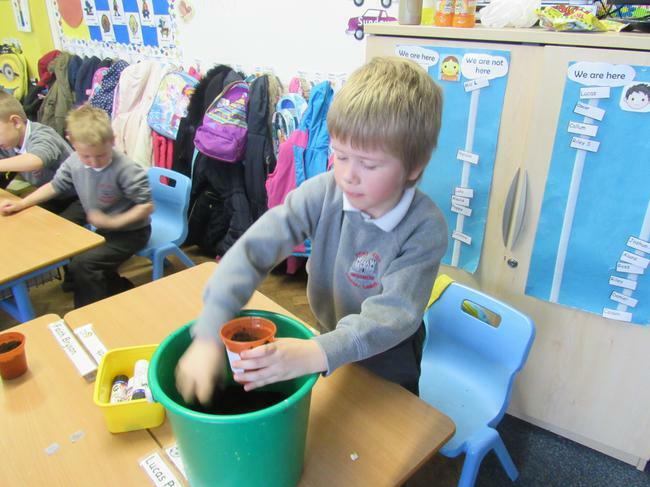 We have been spending lots of money and learning how to give change. 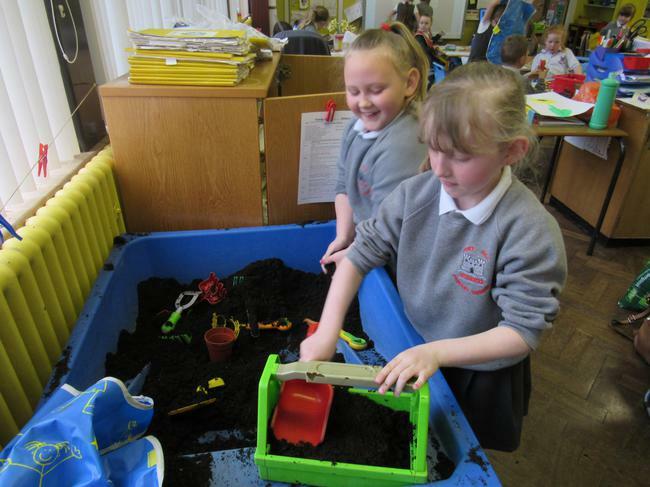 In the water tray we have some soil for planting bulbs and digging. 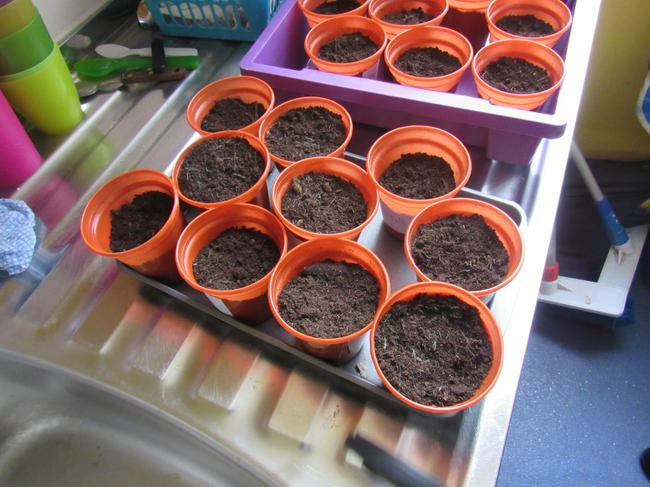 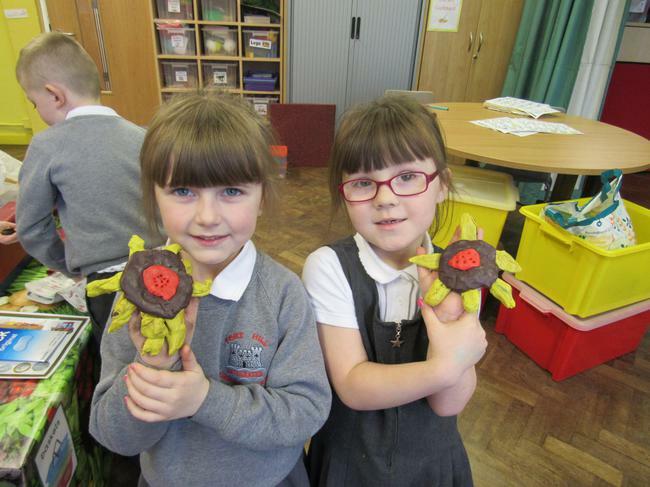 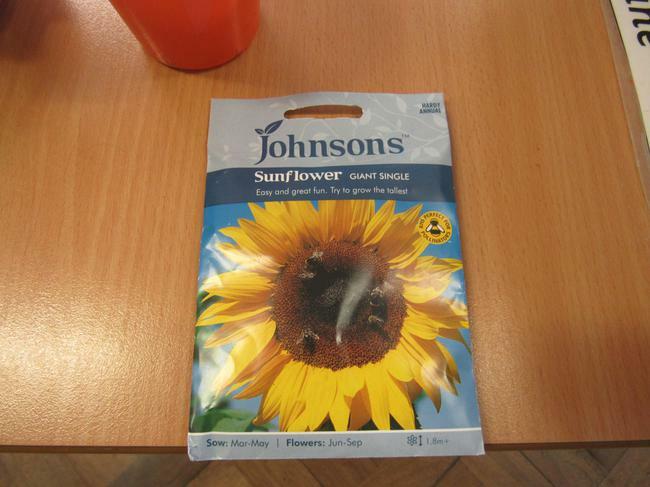 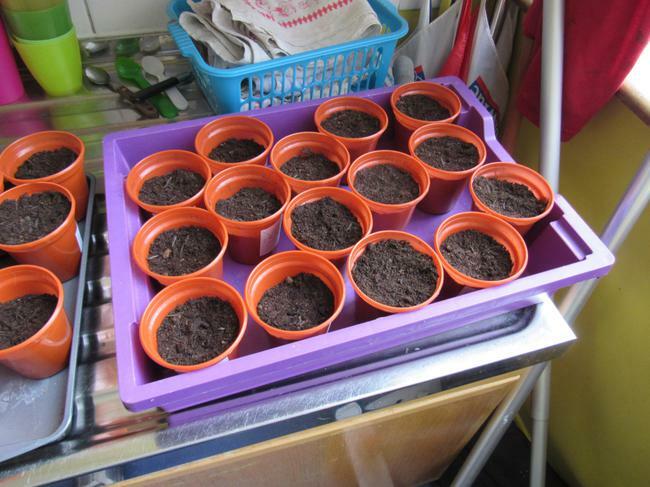 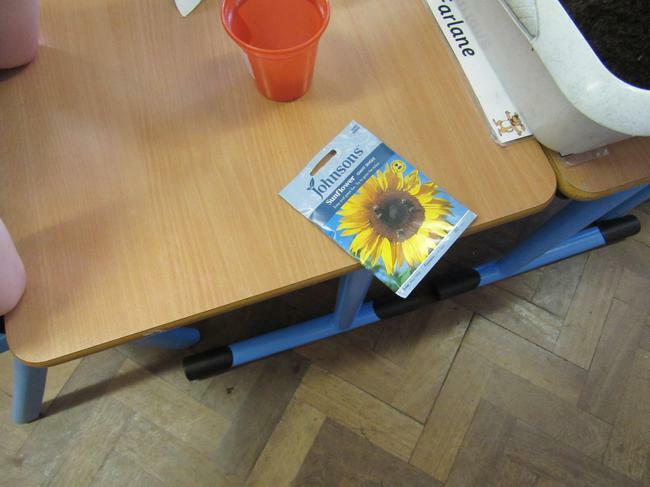 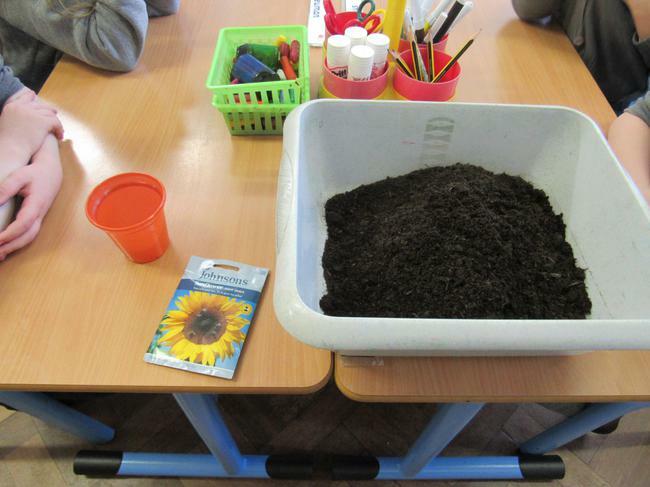 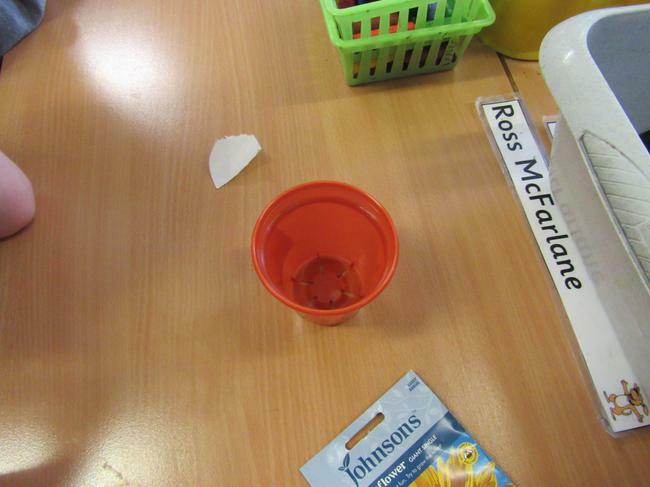 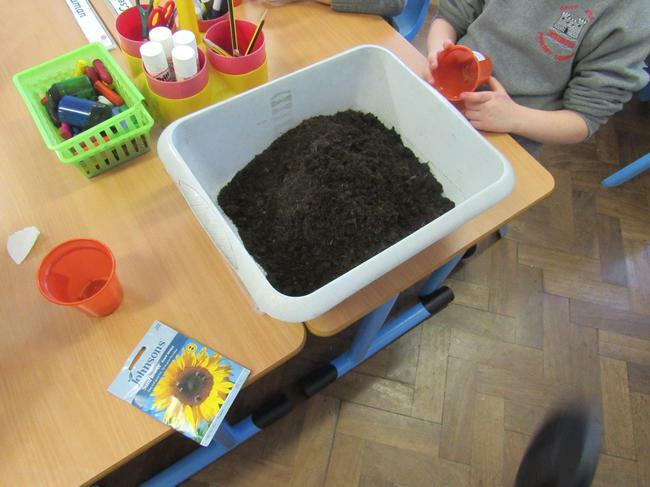 Everyone planted a sunflower seed which we will take home and plant in our garden when they have grown a little bit. 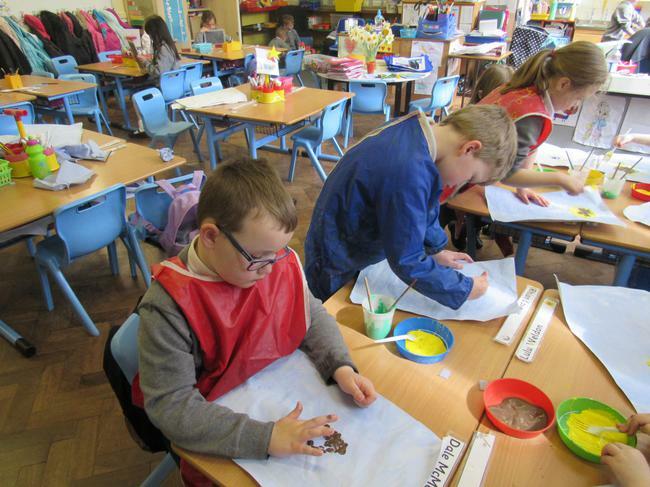 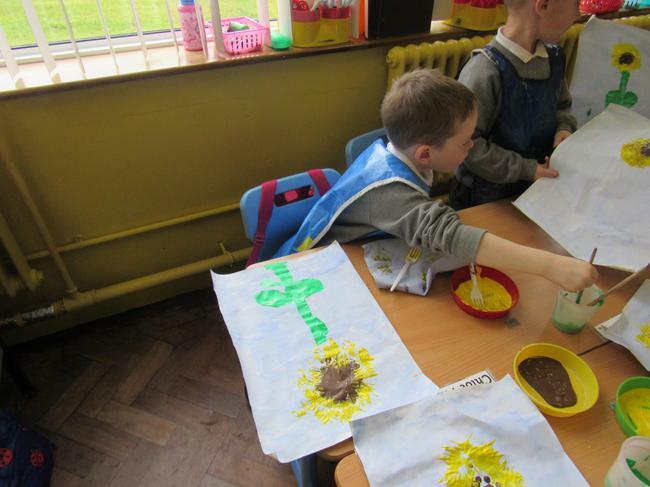 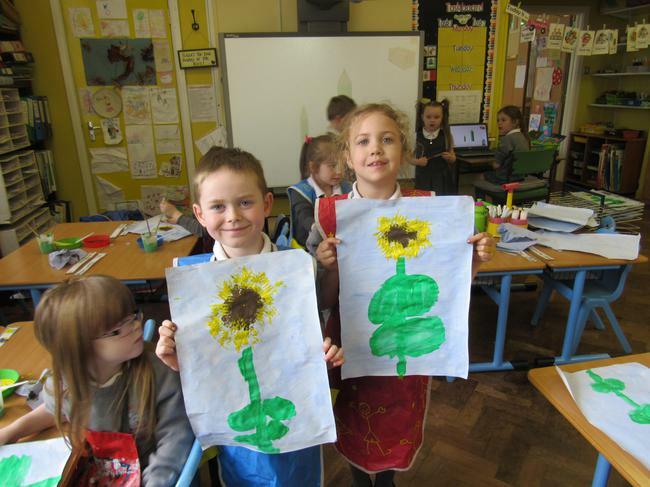 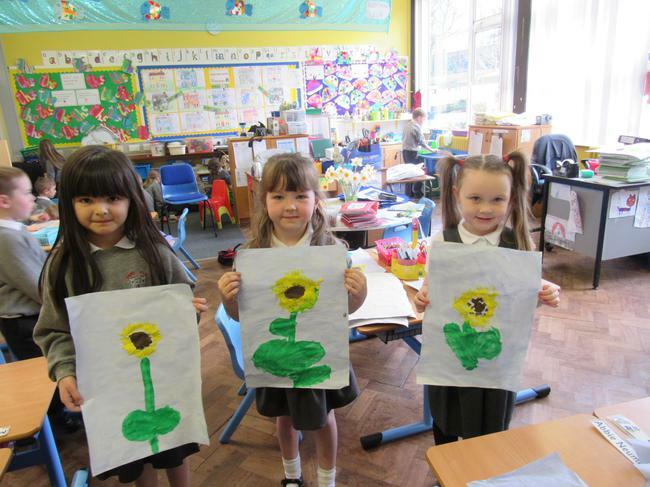 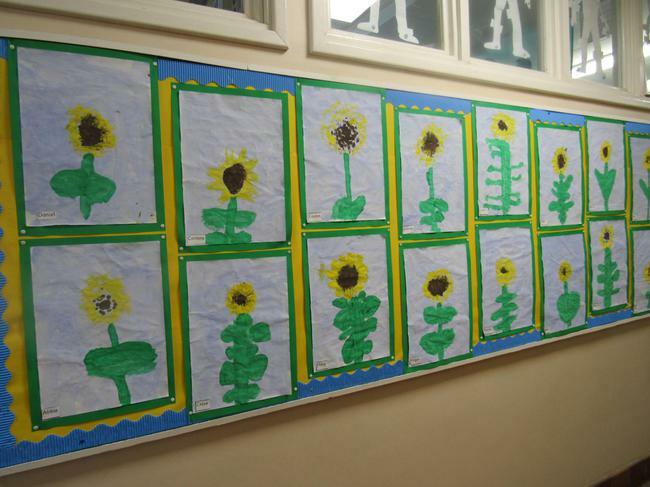 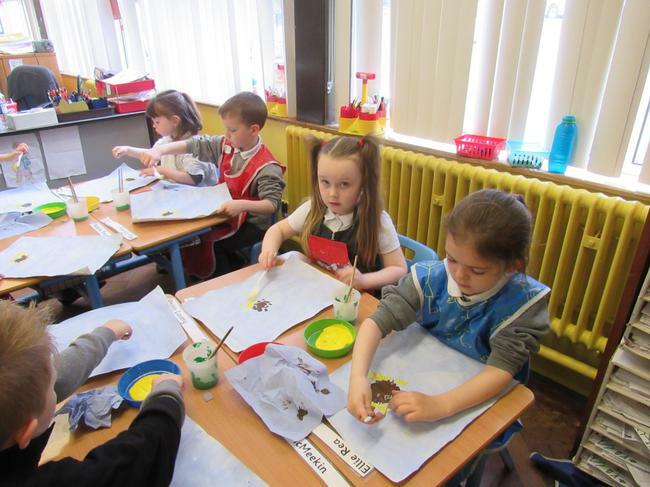 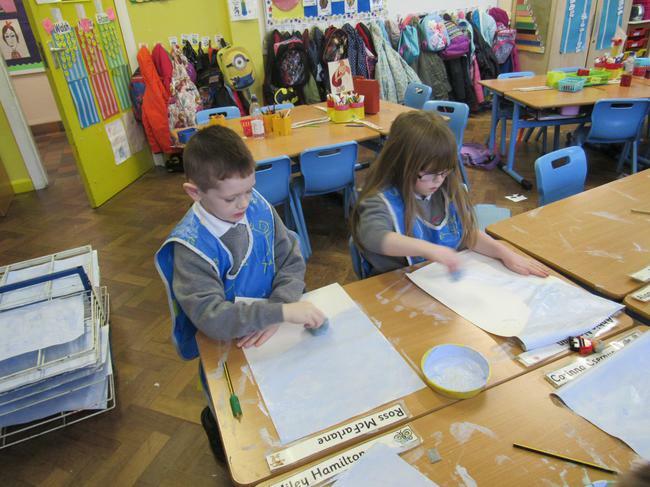 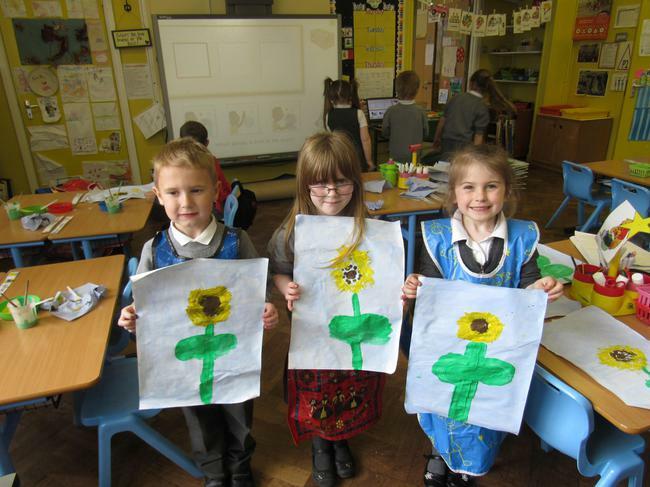 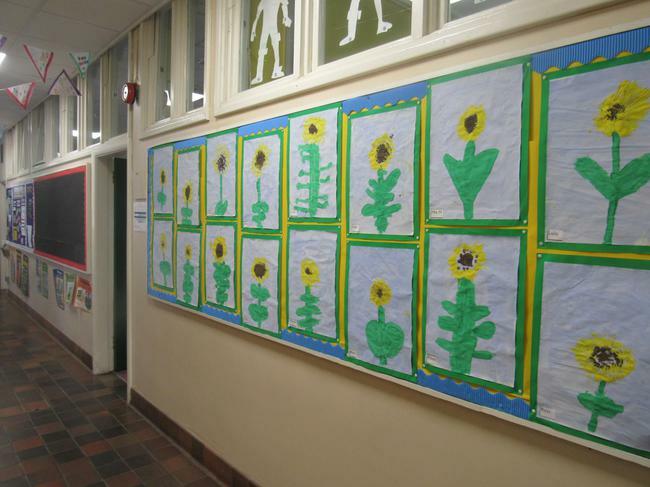 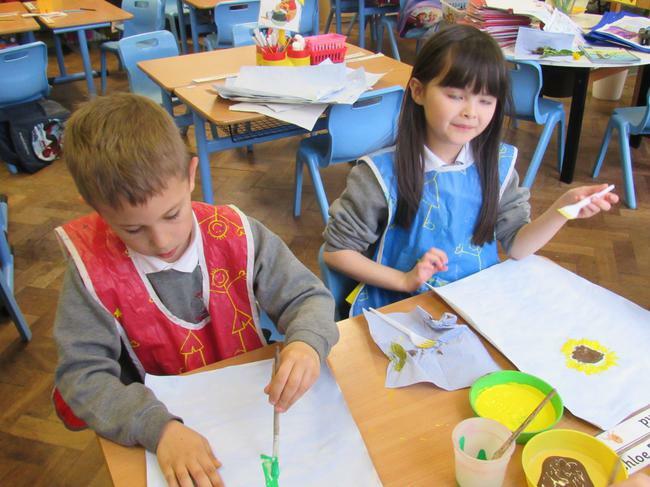 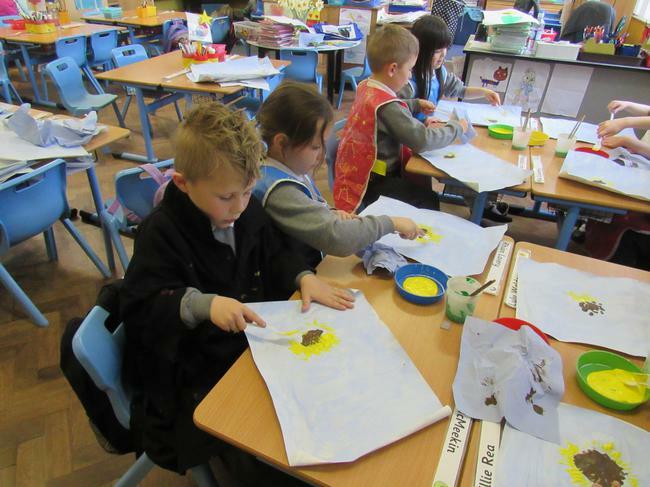 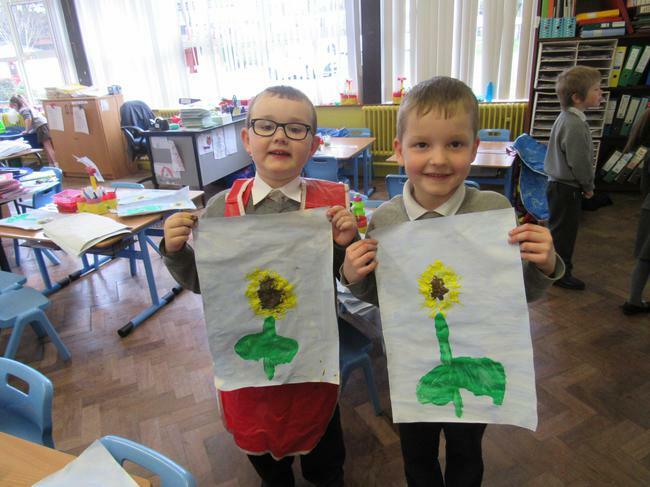 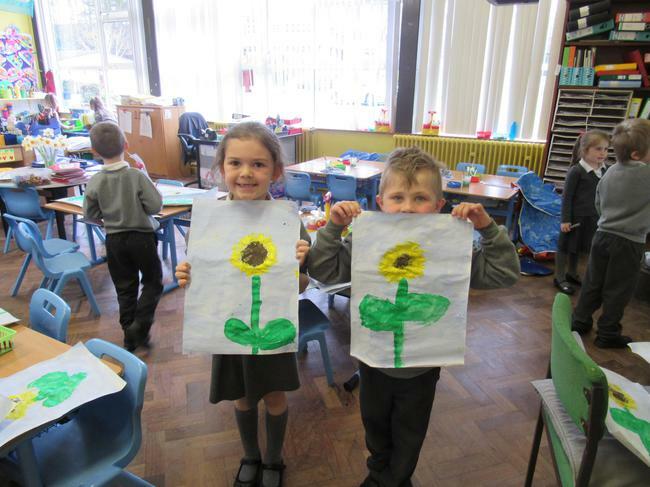 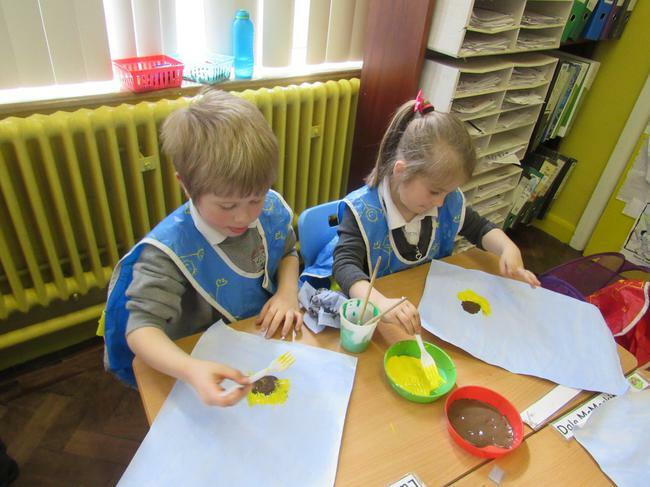 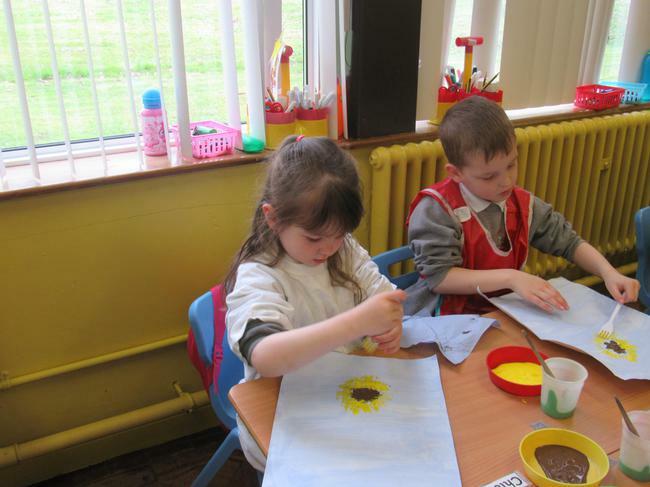 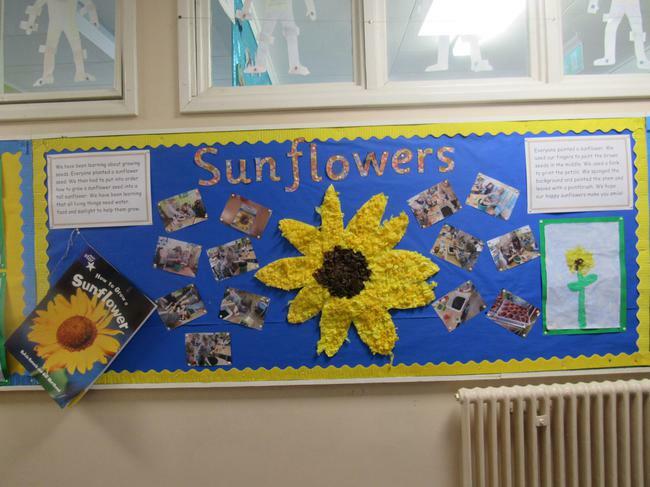 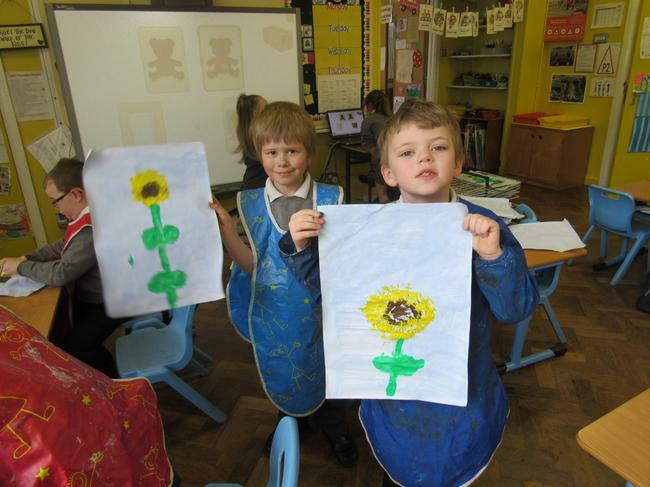 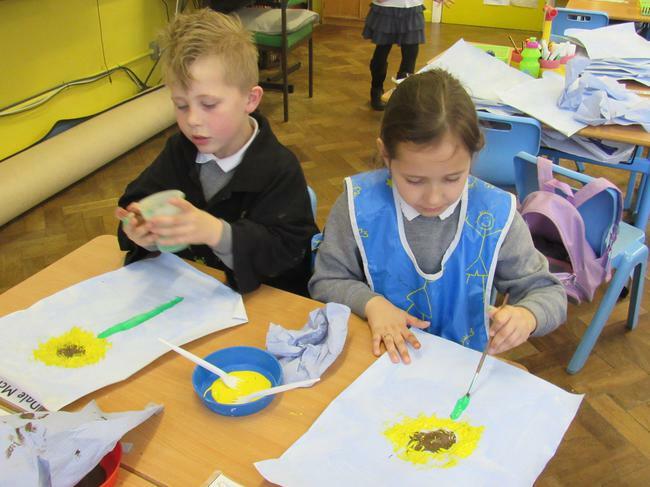 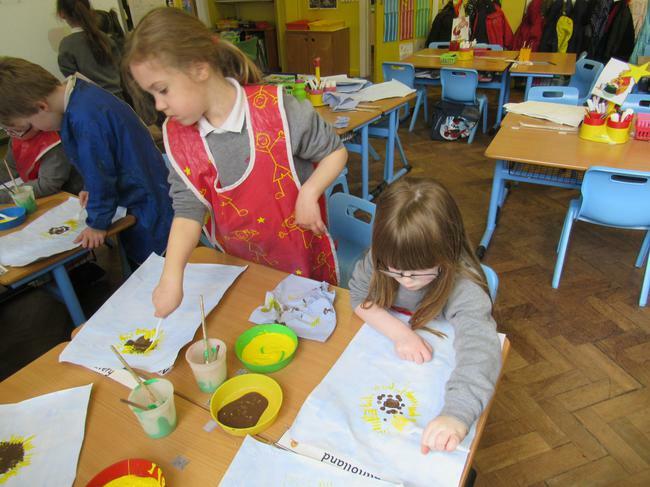 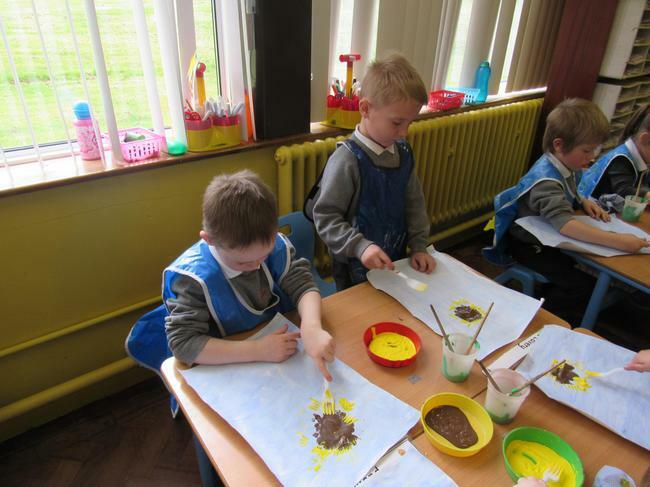 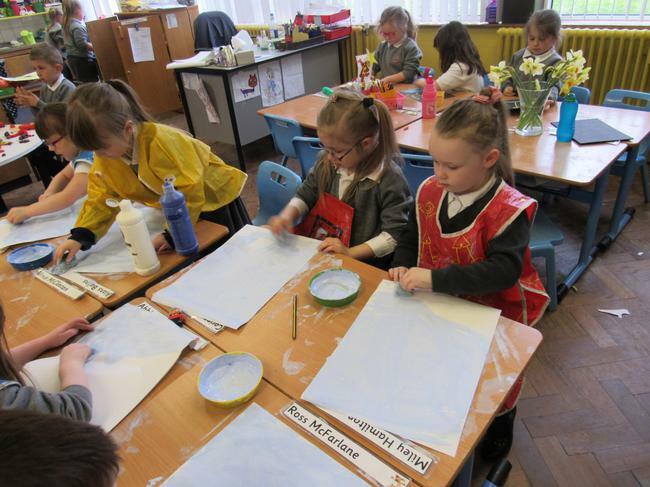 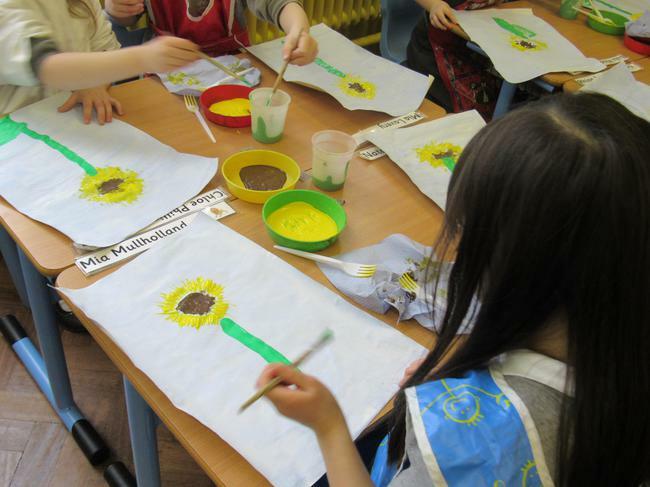 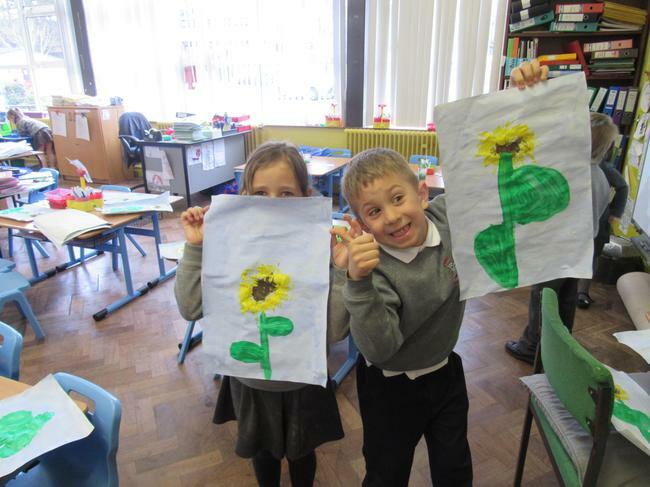 We each made a picture of a sunflower by using a sponge to make a blue background, a fork to print the petals, our finger to print the brown seeds and a paintbrush to paint the stem and the leaves. 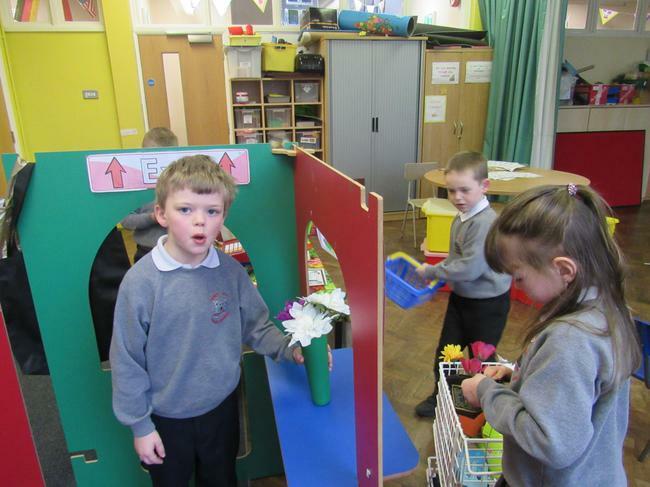 They were so good Miss Tipping made a display outside our classroom for everyone to see! 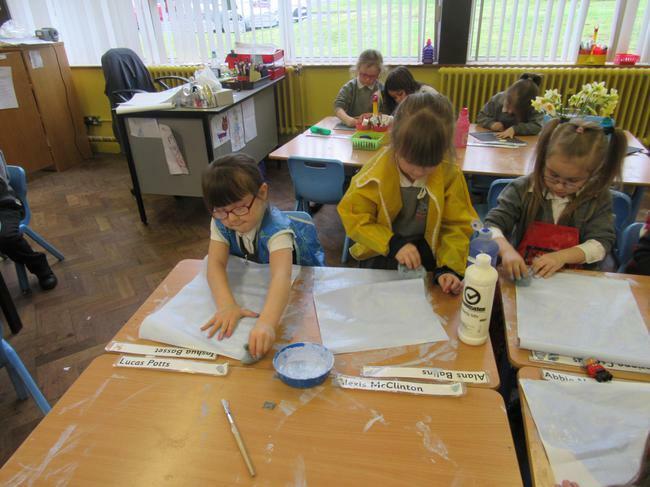 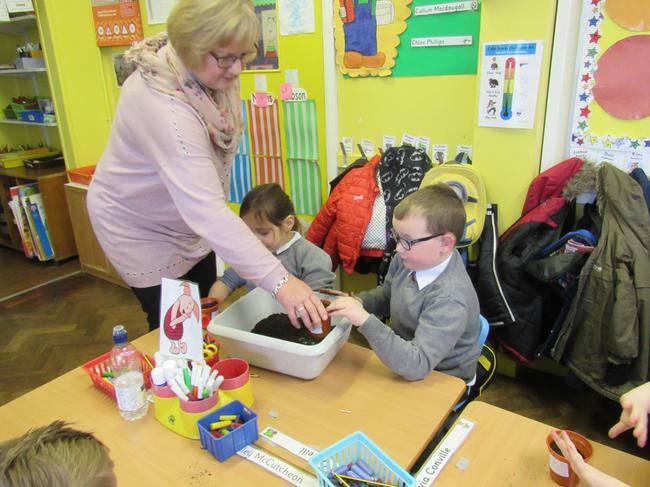 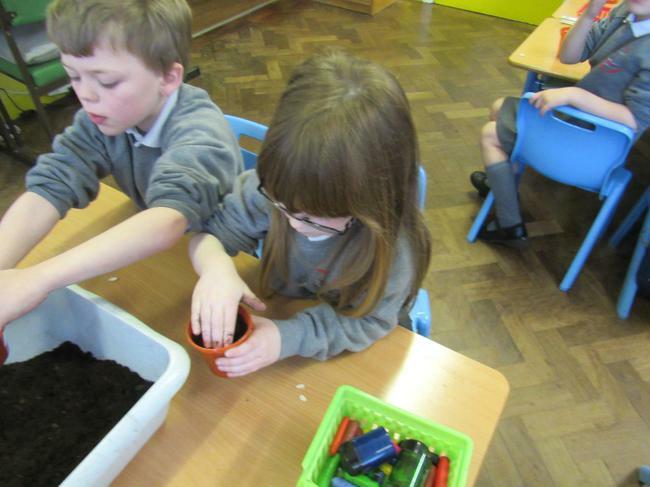 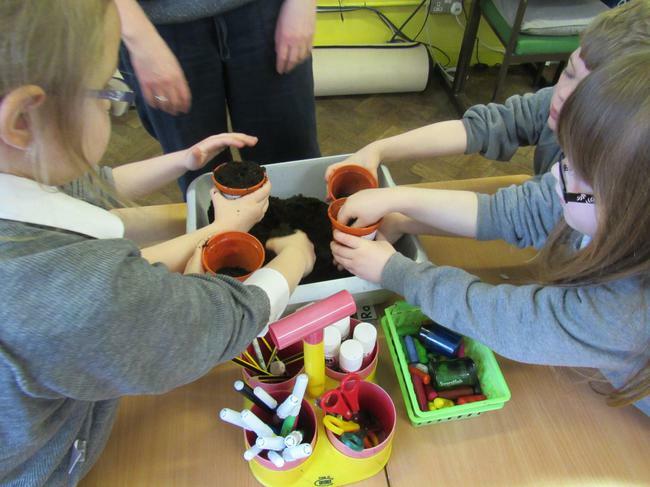 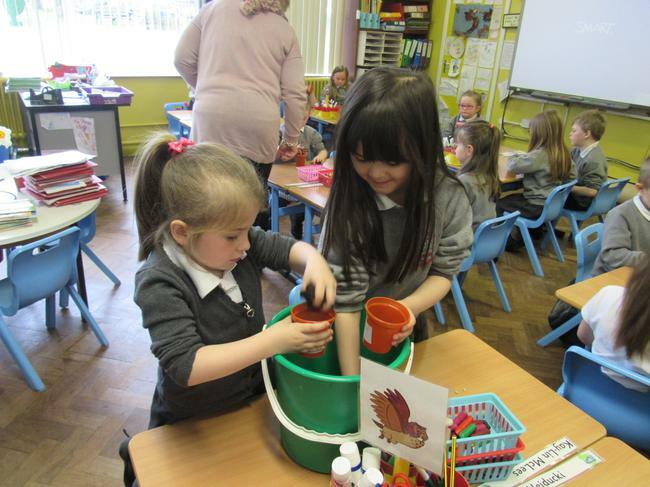 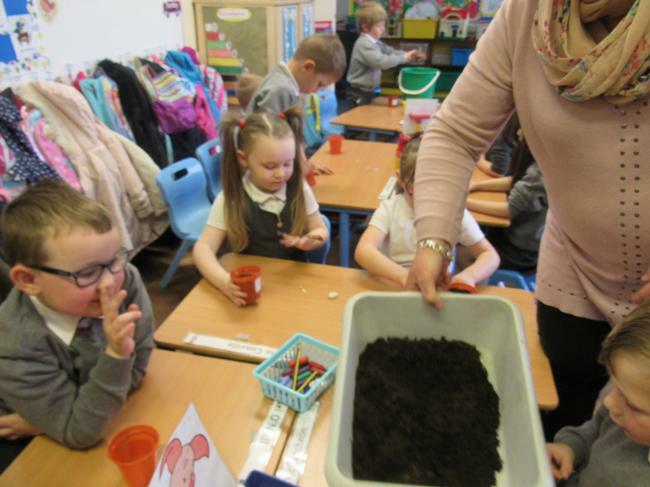 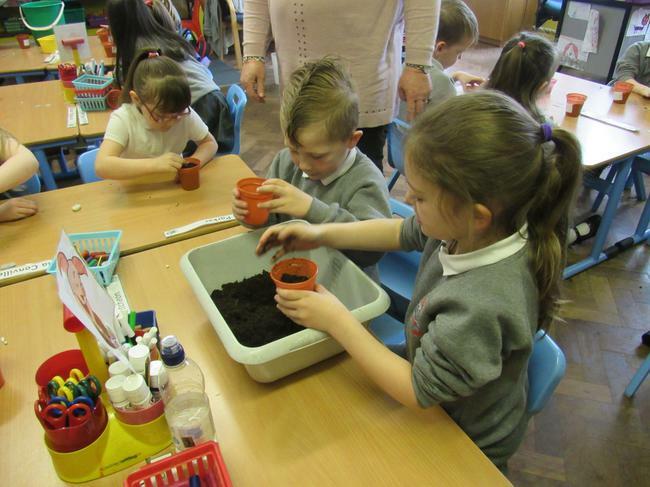 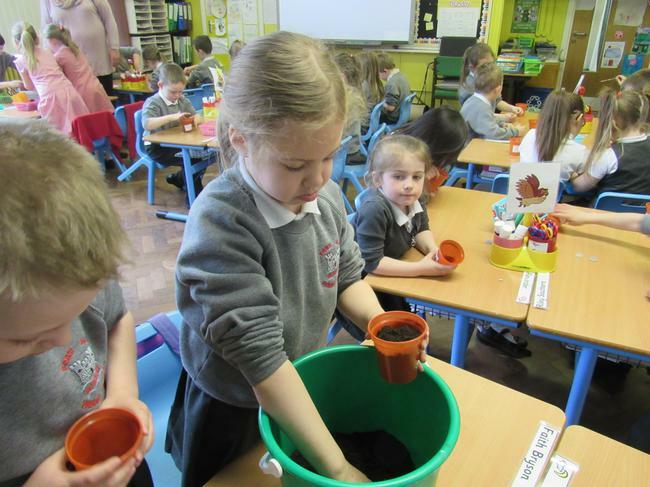 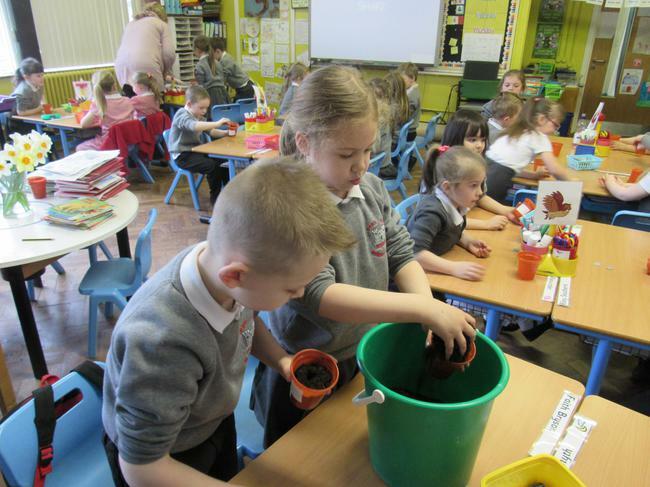 Here we are working hard planting our sunflower seeds. 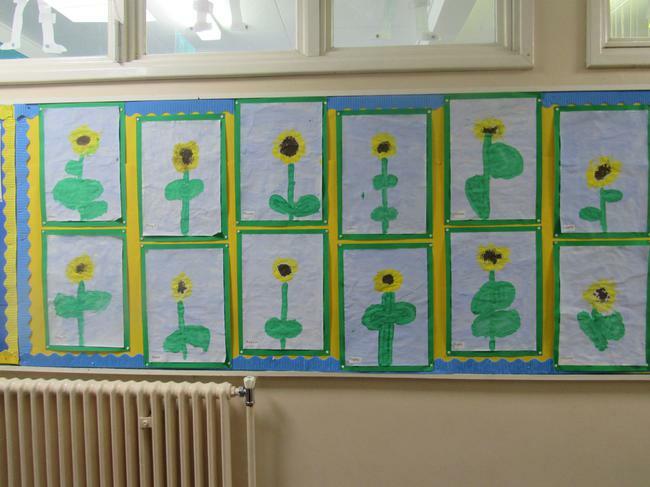 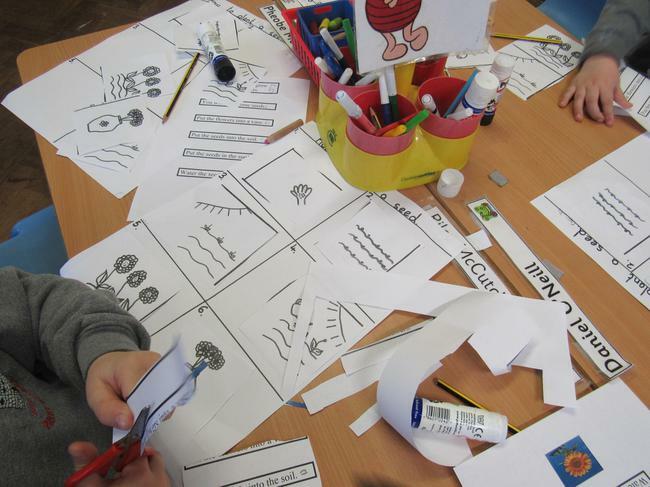 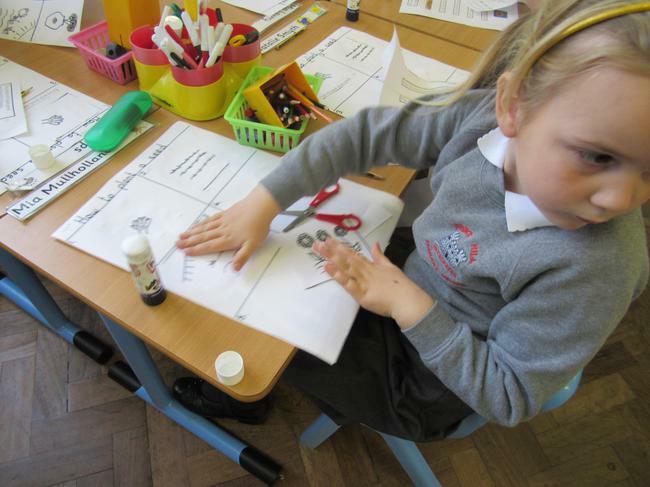 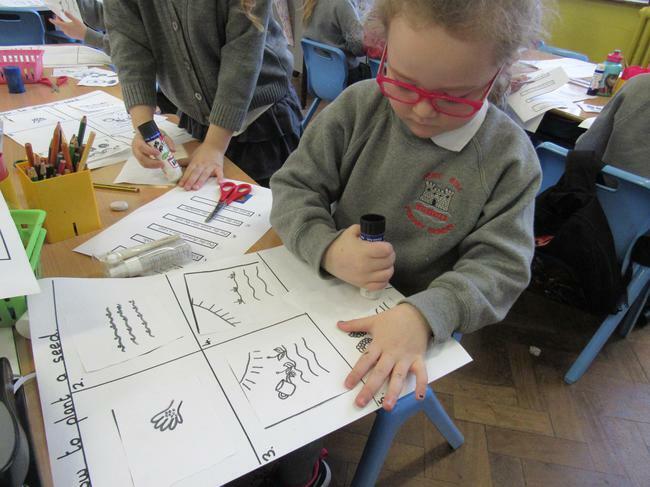 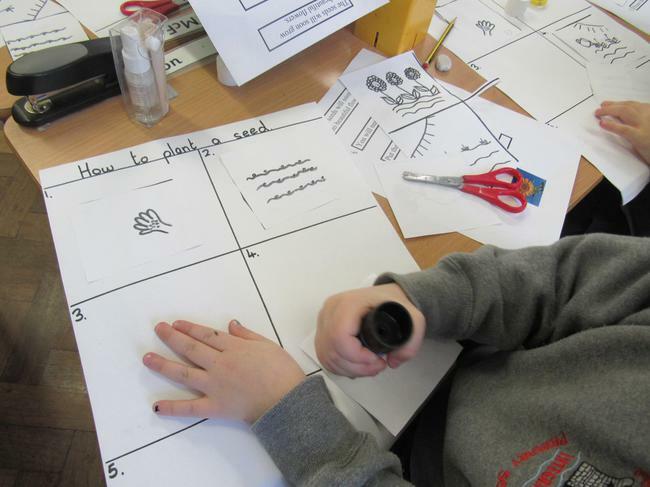 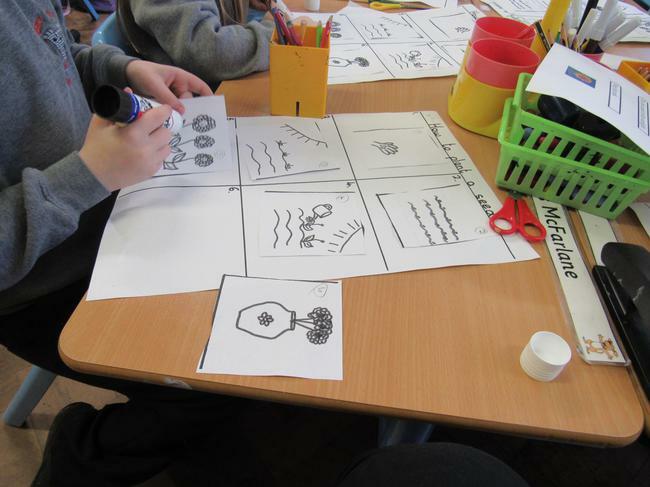 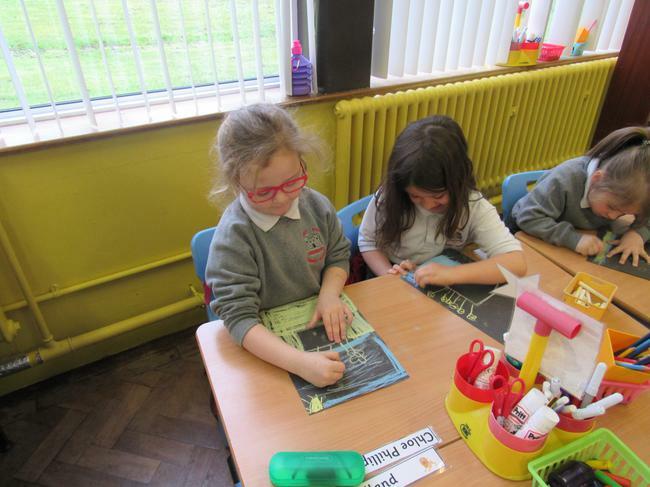 After we planted the seeds we had to cut out pictures and put them into order on "How to grow a sunflower seed". 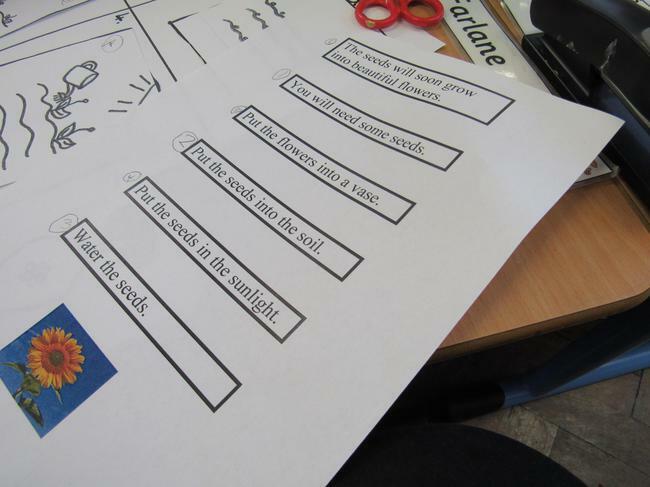 We then had to match the sentence to the correct picture. 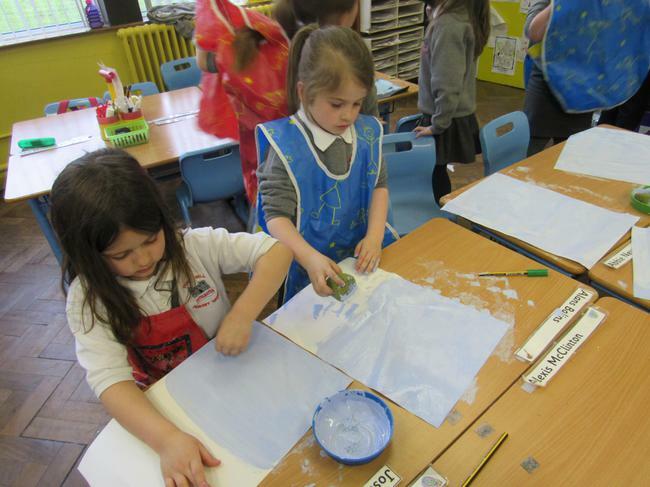 It was hard work but good fun!